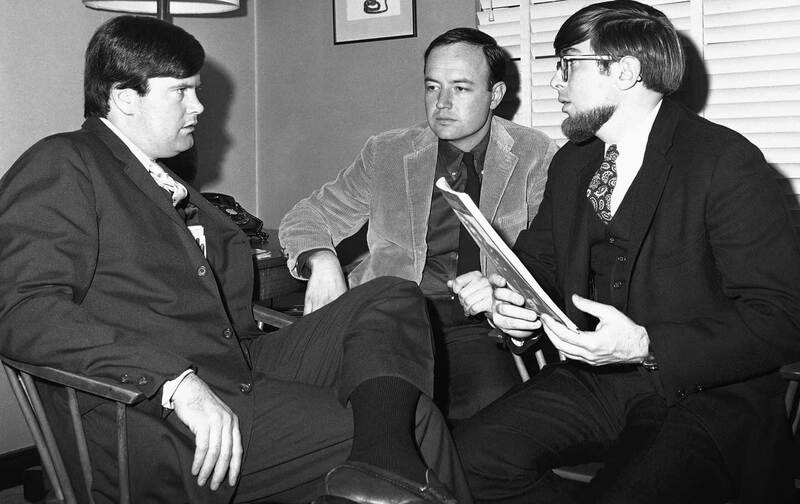 Warren Hinckle, who has died at age 77, will be praised justifiably and extensively for a journalistic career that redefined how writers would speak truth to power. As a writer and editor with Ramparts in the 1960s and with a succession of alternative and mainstream publications in the years that followed, the San Franciscan challenged convention not merely for the sake of doing so but because conventional wisdom, conventional journalism, and conventional politics had steered the country into unnecessary wars and the domestic crises that invariably arise when grasping bankers and billionaires (and their political pawns) call the shots. But there was more to Hinckle than swashbuckling rapscallionism. Hinckle was a joyously bombastic journalist who refused to stay on the sidelines of great debates. Raised in the working-class communities and Catholic schools of San Francisco, Hinckle had a muscular passion for underdog individuals and causes. He did not hesitate to leap into the political fray, as an activist and even as a candidate for local office. Like his compatriot Hunter Thompson, who famously bid for the sheriff’s job in Aspen in the early 1970s, Hinckle refused to simply cover politics. And even if he did not prevail on Election Day, Hinckle was determined to define the debate. Indeed, his 1987 “People Before Politics” race for mayor of San Francisco highlighted issues and opened up debates that continue to this day. Candidate Hinckle identified himself as “a non-politician, third-generation San Franciscan” who had “fought for the elderly, poor, minorities and the disadvantaged” and noted—correctly—that his crusades as a columnist for the San Francisco Chronicle and The Examiner had “turned the heat on for our elderly citizens in heatless hotels.” He was running, he said, to warn citizens that they had “been bamboozled by politicians in cahoots with megabuck contributors” and that the ability of working-class people to obtain family-supporting jobs, start small businesses, buy homes and rent apartments in the city was at risk. Hinckle’s language was colorful—a campaign poster featured a picture of dog droppings and asked, “Tired of the same old crap?”—and some of his alliances were controversial. But his point was a serious one. San Francisco and other cities were being rendered unaffordable by “Manhattanization,” as big money from developers began to influence politicians more than the concerns of citizens. While leading contenders in that 1987 race to succeed outgoing Mayor Dianne Feinstein (whose developer-friendly tenure the columnist had decried with a passion) raised millions of dollars and spent the money on slick television advertising campaigns, Hinckle used his debate appearances to rip into “professional megabuck politics” and warned of the burgeoning influence of the big donors who were buying the city’s politics. “It would take biblical prowess to withstand the pressures of those people—and their lobbyists—who put up a million dollars for your race,” he warned. That message did not get Warren Hinckle elected mayor of his beloved city. (He lost out in the initial round of voting, while Art Agnos, who ran to the left that year, prevailed in the runoff.) But time would elevate the issues he ran on in that prescient campaign of 1987. Today, as San Francisco and other great cities are mangled by gentrification, and as American political contests pit billionaires against candidates who raise money from billionaires, Warren Hinckle’s warnings about “professional megabuck politics” are proven on a regular basis to have been absolutely right and absolutely necessary.